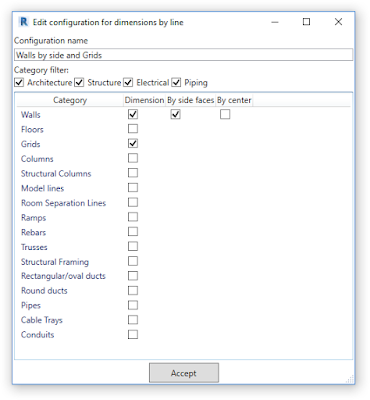 The plugin allows you to place dimensions on the plan or section view along the conditional line formed by the two indicated points. Elements that will be dimensioned and ways of dimensioning (in the center and/or on the extreme sides) are specified in the working configuration. Walls, Floors, Grids, Columns, Structural columns, Model lines, Room Separation Lines, Ramps, Rebars, Trusses, Structural Framing, Ducts, Pipes, Cable Trays, Conduits, Equipment (Mechanisms), Air terminals, Windows, Doors. 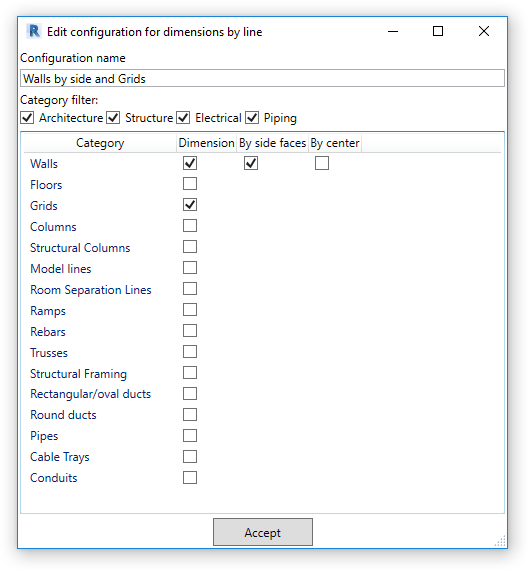 Dimensions by Line is brought to you by ModPlus. It's priced at US $10.00.